Straight oughta Croydon comes this Andy Brice-directed video by Bellevue Days for their single Ripped Jeans. The single was originally released in November 2015 and is the first taster from the upcoming sophomore EP (release tba). Ripped Jeans is about drinking to forget and leaving cigarette stains on a twin sized bed. We’ve all been there. 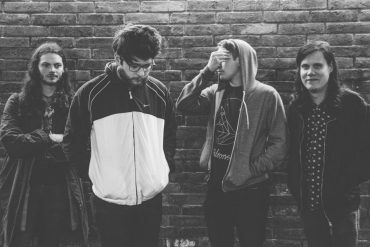 The Croydon four-piece burst onto the scene last year with their critically acclaimed debut EP The Sun Came Up When We Were Young. With a sound that is somewhere between Weezer, The Xcerts and old Twin Atlantic and heart felt lyrics, Bellevue Days give me high hopes for more guitar driven anthems in 2016. If you want to catch them live, head to Amersham Arms in London this Saturday. Tickets are 5£ at the door. Check the Facebook event for more info.